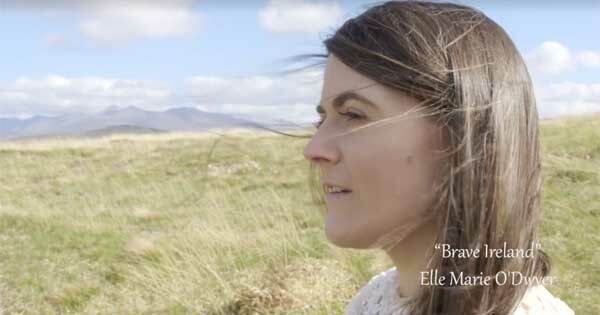 The latest single from Irish traditional singer Elle Marie O’Dwyer sees the singer in patriotic mood. 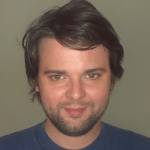 The song – called ‘Brave Ireland’ – along with the video by Tadhg Hayes is sure to have people from Kerry to Ballycastle beaming with Irish pride. The song is about a father on his deathbed, telling his daughter about years gone by in Ireland. He tells her that he helped to fight for Ireland’s freedom and liberty. The song also urges Irish people to take pride in Ireland and in who they are, wherever they are in the world. The video features some shots of the Irish countryside and includes striking scenery in Co Kerry such as rolling hills, streams and lakes. Elle is a huge fan of traditional music, having been surrounded by it as a youngster growing up in Freemount, Co Cork. She won several All Ireland music titles before going on to release her debut album ‘Where the Allow Waters Flow’ in 2012. From that point her career has gone from strength to strength and a second album, ‘A Roving Heart’ followed in 2014. By now, Elle was making regular appearances on national television & radio and has performed all over the world. She has shared a stage with well-known artists such as the High Kings, Cherish the Ladies, Maura O’ Connell, Seán Keane and Séamus Begley. For more information about Elle, visit her Facebook page.